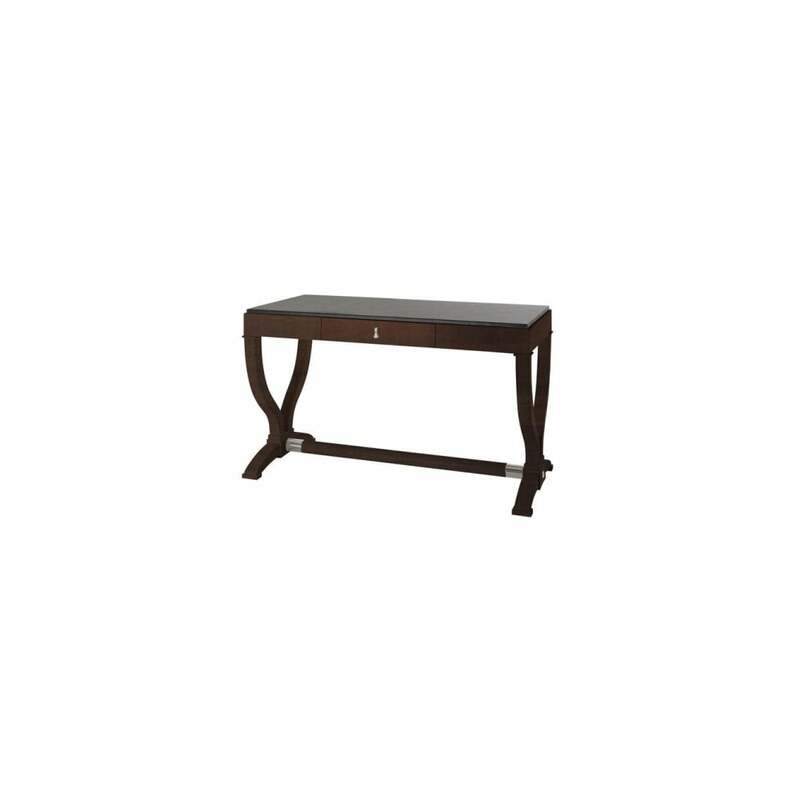 Compact desk with beautifully curving legs, the Heritage has classical influences. The frame is manufactured in solid beach with a cherry veneer and decorative handle in chrome. Many finish choices are available, including the option of a leather top. Please contact us to discuss.